If you are living in Chicago, Illinois, you might have your own car to get around the city. You need to drive to work, back home, and to different spots around town. Driving on your own to any destination is convenient. But, what will you do if your driver’s license is suspended? Have you violated any traffic rules? If so, do you know what the consequences are? If your license has been suspended, it means that the authorities have taken away your privilege to drive. 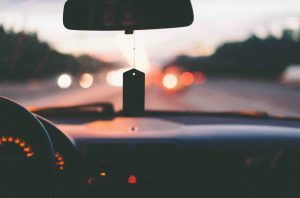 You can find the law about driving with a suspended license in Chicago, Illinois pursuant to 625 ILCS 5/6-303. Your penalty will depend on your reasons for having a suspended license. You are sentenced with more than three traffic violations within 12 months. You have frequent involvement in motor vehicle accidents. You cause an accident resulting in injuries or death. You are found guilty of escaping from the authorities. You fail to pay many tickets due to violations. The period that a license can be suspended varies. When the suspension time has ended, you have to pay your reinstatement fee. The fine ranges from $70 to $500. It depends on the reason that your driver’s license was suspended. You may find this law under the 625 III. Comp. Stat. Â§ 6-118(b). It is a crime to drive with a suspended driver’s license. Such actions result in charges that vary depending on the circumstance. They may range from minor to serious offenses. Class A misdemeanor: In most cases, this unlawful act leads to a Class A misdemeanor under 625 III. Comp. Stat. Â§ 6-303(a). You will pay a fine of $2,500.00 and spend up to one year in prison. You can find this law stated under 730 III. Comp. Stat Â§ 5-4.5-5.55(a and e). Felony: The most serious offense is the felony. The law on this crime is under 625 Ill. Comp. Stat. Â§ 6-303. You may pay, at most, a fine of $25,000.00. You will also spend up to 15 years in prison depending on the class of the felony case. Minor Charges: Under some definite conditions, you may face charges with a minor offense. You may find this minor offense stated in the law under 625 III. Comp. Stat. Â§ 6-601. You will face a fine of $500.00. When facing charges for driving with a suspended license in Chicago, seek out a legal advisor. You can not always defend yourself. It would be best to hire a lawyer who can help you fix the issue because there are many consequences that could continue to affect you. The issue could affect your family and work or career. It would be wise to get professional counsel in order to keep everything under control. You have to contact a good lawyer as soon as possible. You may reach out to David L. Freidberg. He will represent you when you are facing traffic violation charges. You may find out more about his expertise online. He is available 24 hours via internet and for free consultations. You may get in touch with him via telephone at (312) 560-7100 or online.